GERRY MALLON’S Laughter Loft has been called a ‘festival within a festival’ and is, without doubt, a Galway International Arts Festival institution. This month, the laughter loft returns for its 12th year. 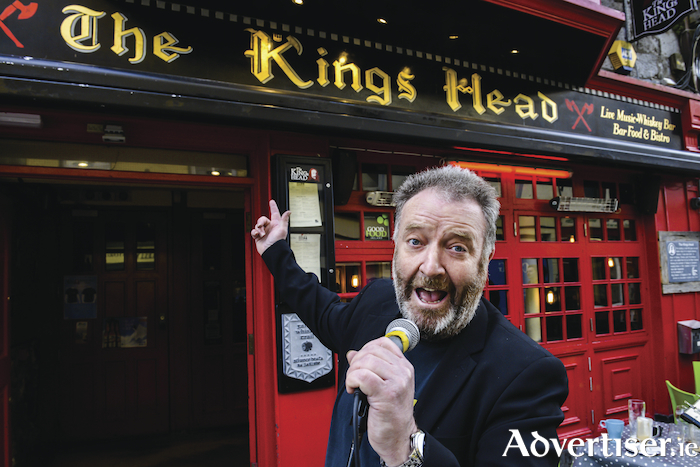 The shows, hosted by MC Gerry Mallon, take place n The Ruby room of The King’s Head. Highlights will be two shows each from sketch trio Foil, Arms and Hog, and Neil Delamere. The full line-up is Karl Spain (Monday July 16 ), Danny O’Brien (Tuesday 17 ), Foil, Arms and Hog (Wednesday 18, Thursday 19 ), John Colliery (Friday 20 ), Patrick McDonnell (July 21 ), Colm O’Regan (Sunday 22 ), David McSavage (Monday 23 ), Alison Spittle (Tuesday 24 ), Neil Delamere (Wednesday 25, Thursday 26 ), Chris Kent (Friday 27 ), Terry Alderton (July 28 ), and Jarlath Regan (July 29 ). Doors are at 12.30pm. Tickets are €12.50 and are available at the door only.